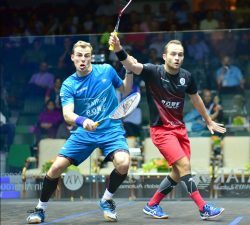 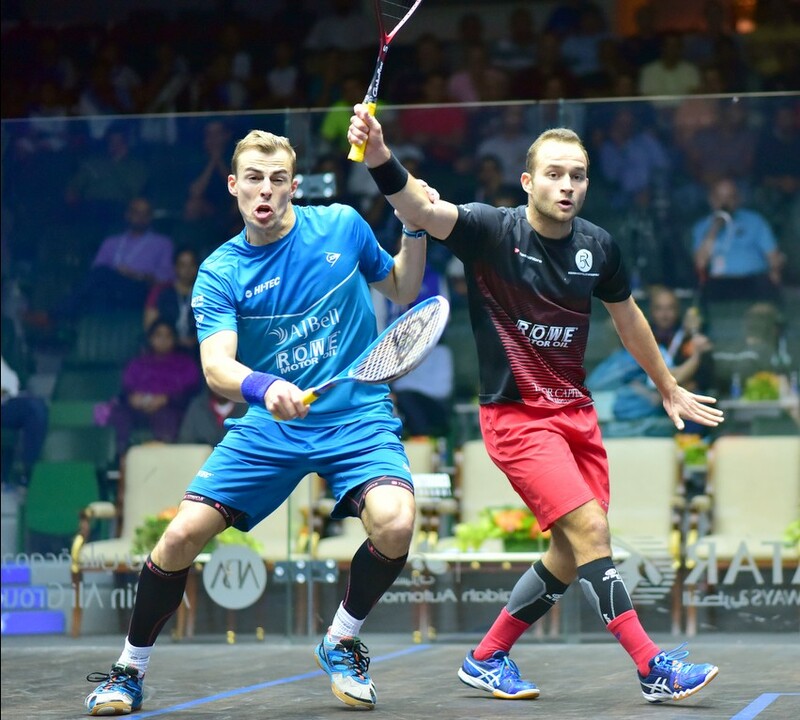 World No.1 Mohamed ElShorbagy and three-time World Champion Nick Matthew will go head-to-head for a place in the final of the 2016 Qatar Classic at the Khalifa International Tennis and Squash Complex in Doha, in the latest instalment of one of the sport’s fiercest rivalries. 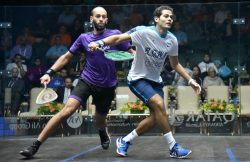 The pair have met 19 times on the PSA World Tour, with defending champion ElShorbagy winning 11 of them – including the 2013 Qatar Classic final where the 25-year-old Egyptian claimed his first ever World Series title. 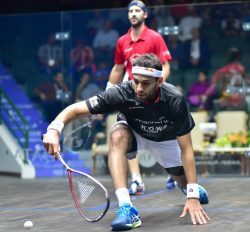 ElShorbagy earned his place in the last four after coming through a gladiatorial five-game contest with German No.1 Simon Rösner, beating the World No.13 5-11, 14-12, 9-11, 11-5, 11-9. “It was unbelievable,” said ElShorbagy. 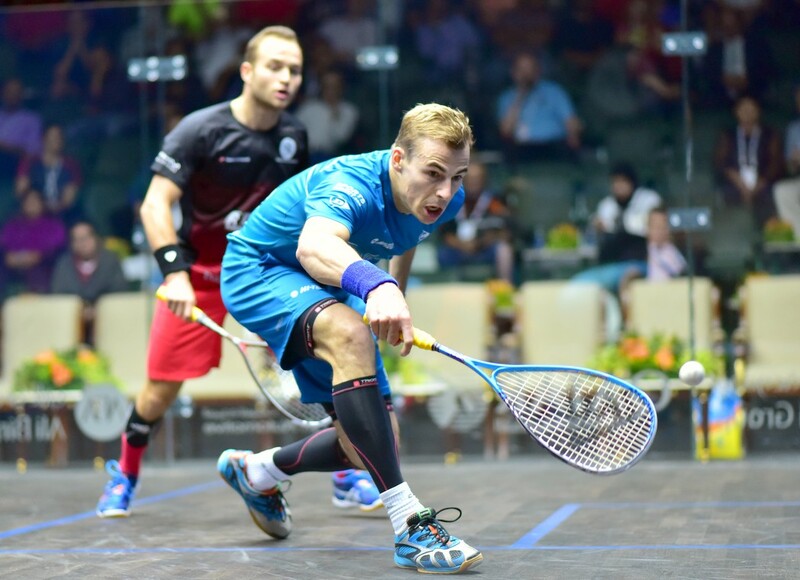 “Every player has a quality that is different from other players. 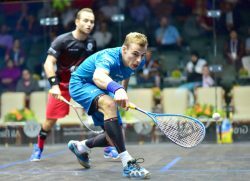 Maybe my quality is that I’m a fighter, I just keep fighting and that’s maybe the thing that kept me alive in this match and got me a win at the end. 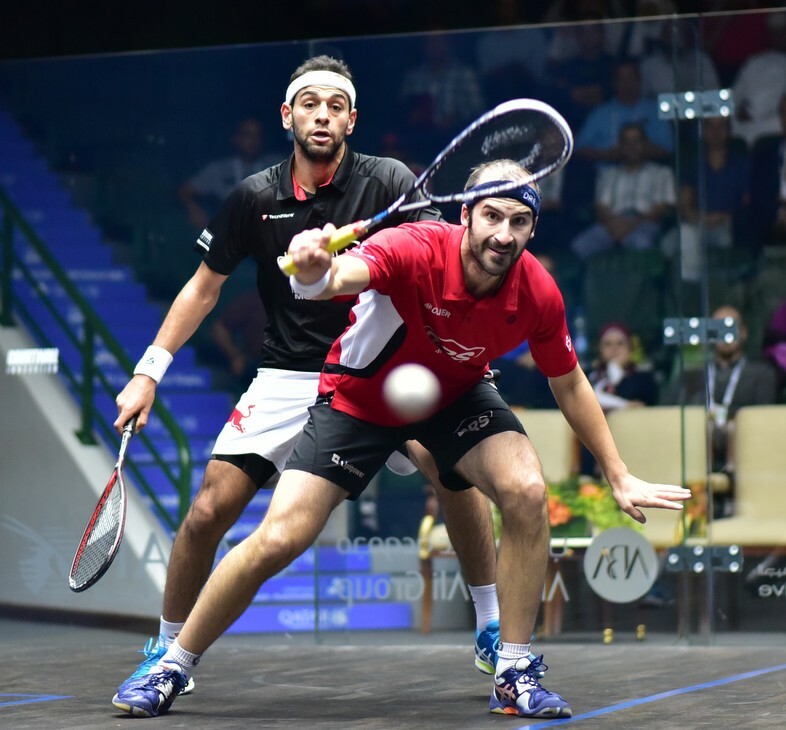 Matthew produced a superb comeback from two games down to defeat Frenchman Gregoire Marche after Marche put in a display full of vigour and control in the early stages to take the lead. 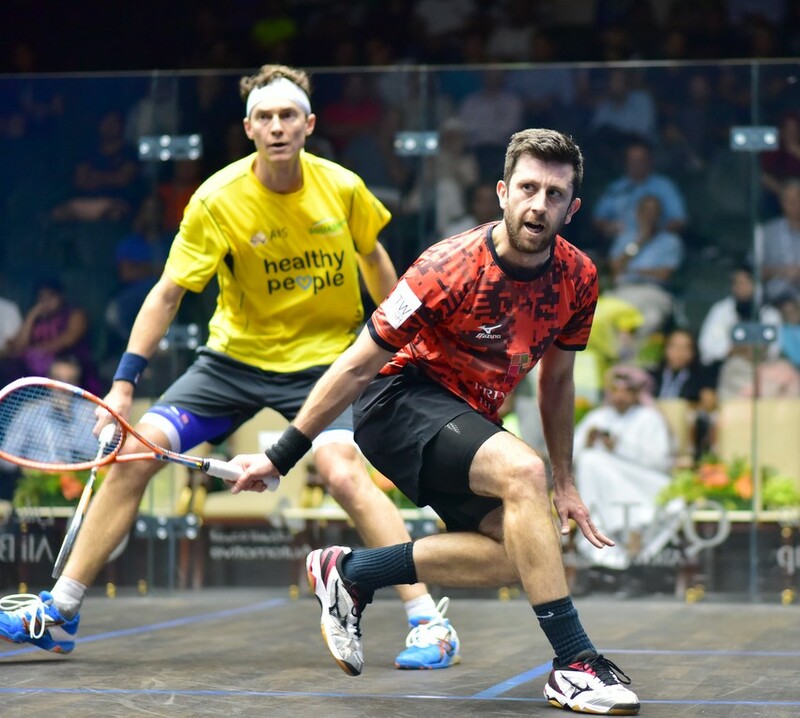 But the mental resilience that has been a hallmark of the 36-year-old’s glittering career came to the fore as he fought back to take the next three games without reply, earning the win by an 8-11, 9-11, 12-10, 11-8, 11-3 margin to move to within one win of a second World Series final of the season. 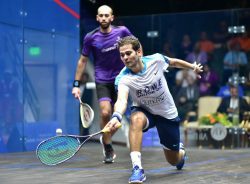 “Mohamed is the number one player in the world, he has that same quality that I think I have, where he can get the wins even when he’s not at his best, and he’s proven that over and over again,” said Matthew, who lost out to ElShorbagy in last month’s Delaware Investments U.S. Open final. World Champion Karim Abdel Gawad and World No.19 Daryl Selby will contest the other semi-final fixture after they claimed respective wins over World No.7 Marwan ElShorbagy and Australian No.1 Cameron Pilley. Gawad, who beat Ramy Ashour in the PSA Men’s World Championship final a fortnight ago, had to be resilient against a strong challenge from the younger ElShorbagy brother, but pulled through 11-6, 9-11, 11-6, 11-4 to reach the next round. 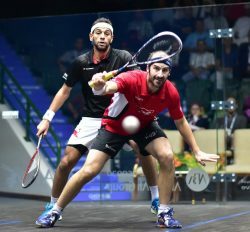 A tactically astute display from England’s Selby saw the 34-year-old – who beat Egyptian second seed Omar Mosaad in a brutal first round encounter – claim a spot in his first World Series semi-final since January 2012 after beating Pilley in four games. 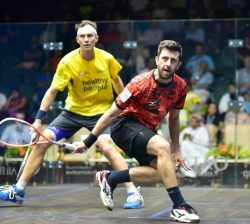 “It’s my first World Series semis since the Tournament of Champions four years ago,” said Selby.